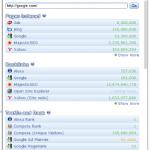 Being the Leader in the Search Engines. Google started launching their own products starting with their Chrome Browser and its Chrome OS. Now Google has come up with their Programming Language this time. 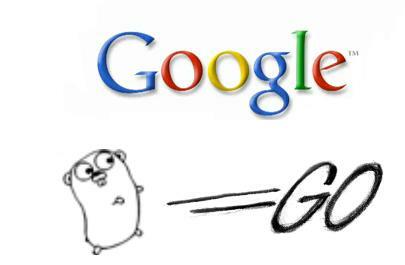 Google has launched its Open Source Systems Programming Language called GO. However this is not Google first programming language. Google relesed Simple, which was meant for developing Android applications. Google’s Go started as a ‘group 20% project’ in 2007, and full-time work began on it only last year. In group 20% project, Google employees were allowed to spend up to 20% of their time working on projects other than their normal ones. Pike (Principal Software Engineer at Google) and colleagues developed Go because they were thwarted with the advanced intricacy of software development..
“We developed Go because we had become a bit frustrated with how difficult software development has become in the last 10 years or so,” said Rob Pike (Rob Pike is a Principal Engineer at Google, Inc). “It’s like using an interactive language,” Pike says Go’s goal is to serve as a systems language, in the way that C++ or C does today. Google says it has designed GO for extensive scalability and multi-processor systems. And its a fast, fun and productive language. Yah! Its really amazing that the Google started launching their own products starting with their Chrome Browser and its Chrome Operating System. We all Know that GOOGLE is the leader in the Search Engines and they are called as founder of the Search Engine. And in the Site they states that 20% of GOOGLE Employees are working on their Sites and in my opinion it would good them and all Search Engines. so Friends Congrats to all and also for Google…. Search Engine Giant “Google” now become aware in beating their competitors by introducing various products in its own. First Browser, then OS, now Programming Language. Great effort by Google team, I think in the future, Google standalone in its path and everyone follows.